Located in the heart of Bucksport, this motel is within 1 mi (2 km) of Buck Memorial Library and Buck Cemetery. Bucksport Golf Club is 2.8 mi (4.5 km) away. Situated in Bucksport, this motel is 1.5 mi (2.4 km) from Buck Cemetery and 2.3 mi (3.6 km) from Bucksport Golf Club. Cross Insurance Center and Darling's Waterfront Pavilion are also within 20 mi (32 km). Situated on the waterfront, this hotel is within a 15-minute walk of Buck Cemetery and Buck Memorial Library. Bucksport Golf Club and Sears Island are also within 12 mi (20 km). Situated on a lake, this romantic vacation home is within 9 mi (15 km) of Buck Cemetery, Bucksport Golf Club, and Buck Memorial Library. Penobscot Narrows Bridge and Observatory and Fort Knox State Park are also within 9 mi (15 km). How Much is a Hotel Room in Bucksport? 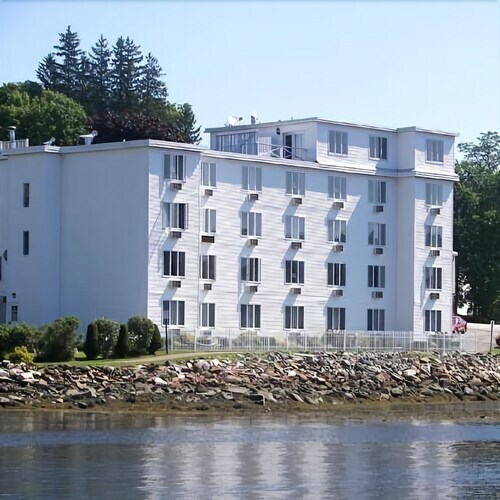 Hotels in Bucksport start at $89 per night. Prices and availability subject to change. Additional terms may apply. If you are intending on trekking through Bangor and decide to take some time out in Bucksport, as a discerning traveler, you will find it easier to book as early as possible through Travelocity to make sure you secure the most suitable place to stay. The Travelocity hotel guide presently has 3 accommodations within easy driving distance of the center of Bucksport. Travelocity-listed hotels that are located within manageable driving distance of Bucksport include the Fort Knox Park Inn and Bucksport Motor Inn. The Courtyard by Marriott Bangor is 14 miles (22 kilometers) from the town center of Bucksport. 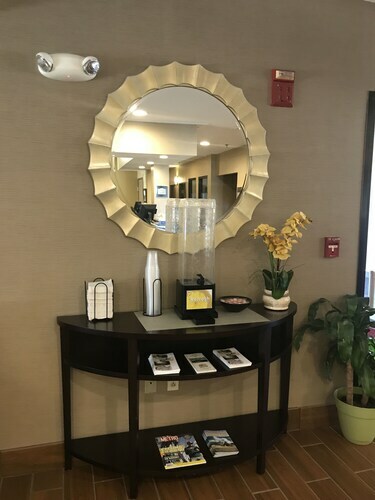 An alternative place to stay is the Four Points by Sheraton Bangor Airport, which is approximately 13 miles (21 kilometers) away. Other accommodation options close by include the The Jeweled Turret Inn as well as the Hilton Garden Inn Bangor. The closest accommodations in Bangor include Brewer and Old Town. Brewer is 11 miles (18 kilometers) to the north of Bucksport, while Old Town is 20 miles (36 kilometers) to the north. 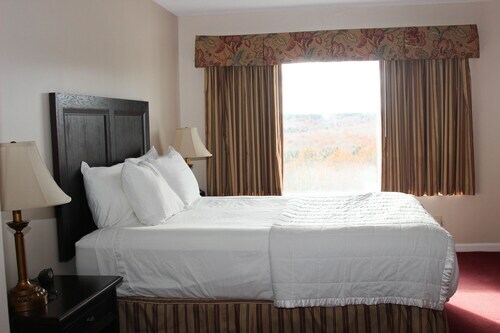 Accommodations in Brewer include the Hollywood Casino Bangor and The Charles Inn. The Black Bear Inn Conference Center & Suites and Milford Motel On The River are amongst the hotels in Old Town. Just because you and your traveling partners are visiting somewhere new, doesn't have to mean that you can't fuel your passion for a day at the stadium. Mansfield Sports Complex is 12 miles (20 kilometers) to the north of Bucksport. 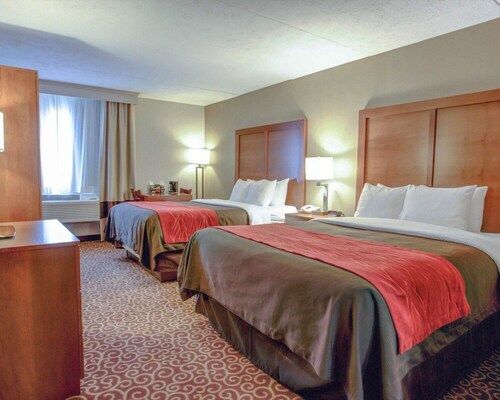 Sleep close to the sporting action at the Holiday Inn Bangor or the Fairfield Inn By Marriott Bangor. When you're traveling via Bangor International Airport and would like to find a room nearby, try Days Inn Bangor Airport or Rodeway Inn. The television didn’t work but the room was clean and the bed was comfortable. Very nice, very affordable. It is in Bangor's shopping district and close to a lot of places to explore. Could not have been happier! Pleasant and VERY clean . I will return many time . Great - thanks. Excellent beds, new floor and interior. We will more than likely stay here on our way back to Canada.